This document is made for anyone who wants to learn constraint programming using using Mini-CP as a support. This tutorial will continuously evolve. Don’t hesitate to give us feedback or suggestion for improvement. You are also welcome to report any mistake or bug. The success the MiniSAT solver has largely contributed to the dissemination of (CDCL) SAT solvers. The MiniSAT solver has a neat and minimalist architecture that is well documented. We believe the CP community is currently missing such a solver that would permit new-comers to demystify the internals of CP technology. We introduce Mini-CP a white-box bottom-up teaching framework for CP implemented in Java. Mini-CP is voluntarily missing many features that you would find in a commercial or complete open-source solver. The implementation, although inspired by state-of-the-art solvers is not focused on efficiency but rather on readability to convey the concepts as clearly as possible. Mini-CP is small and well tested. 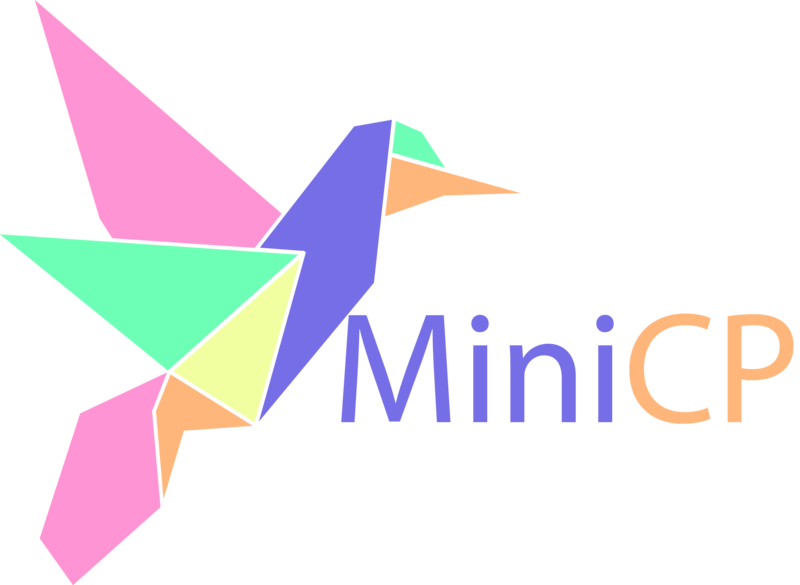 Mini-CP source-code is available from bitbucket. We recommend using IntelliJ or Eclipse. From IntelliJ you can simply import the project. From Eclipse you can simply import the project. You’ll get greatest chance of getting answers to your questions using the Mini-CP usergroup. If you use it for teaching or for research, please let-us know and we will add you in this list. UCLouvain, INGI2365 Teacher: Pierre Schaus. ACP, Summer School 2017, Porquerolles, France, Teacher: Pierre Schaus. © Copyright 2018, Laurent Michel, Pierre Schaus, Pascal Van Hentenryck. Created using Sphinx 1.8.5.